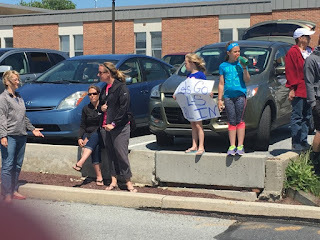 As the first week of summer draws to a close, today a group of supportive parents and friends gathered to send off the Girls’ Softball team on their way with a "Spirit Line" to the PIAA Quarterfinals. The girls will travel to Lyons Field in Fleetwood to take on the Bangor Slaters later tonight at 6pm. The Pioneers have already defeated District 1 Champ Villa Maria 3-2, and head into this game 24-2 against their 23-2 opponent. The winner will advance to the Semi-Finals to battle the winner of the Abington Heights vs. Bishop Shanahan game. Best of luck ladies! To celebrate the finished school year, here are three finished pieces from Mrs. Jennifer Braas' Jewelry and Metals courses. Throughout the semester students are encouraged to explore new ways of thinking in creating unique metal forms as they study the history and techniques used to create them. “Well this is a lot of people.” Valedictorian Benjamin Pontz opened up his speech with this short, yet accurate observation. Despite the standing water in J. K. Mechanical Stadium, there were still, as Pontz said, “a lot of people.” The PAC was completely full, students and loved ones piled into the chorus room and cafeteria, and the teachers were shoved on the far wings of the Lampeter-Strasburg High School Performing Arts Center. Graduation is a special time, and special times call for extending invitations to all of your loved ones, even if it means shoving them into the cafeteria to watch the live stream. The first speaker, Sam Ingram, began her speech by reminiscing her third grade days, and when she drew a picture of what she thought she would look like in High School. She reassured the graduates that “Even if that picture changes, its okay.” Her conversational tone created an intimate exchange between her words and the audience’s thoughts. You have homework this summer. I know that the lyrics to Alice Cooper's "School's Out" are still echoing in your head but understand that summer's academic slide is real. You need some background before I tell you what the assignment is. When I started in education, the “divide” for students was between the digital haves and digital have nots. 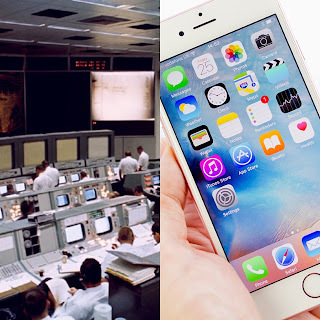 Over the past 13 years the divide has evolved as technology became ubiquitous. Today, it’s between digital creators and digital consumers. Unfortunately, the divide is wide with most students falling into the latter category. This should not come as a surprise. We live in a consumer society with our mobile devices offering a 24/7 all-you-can-eat buffet of free mindless content. 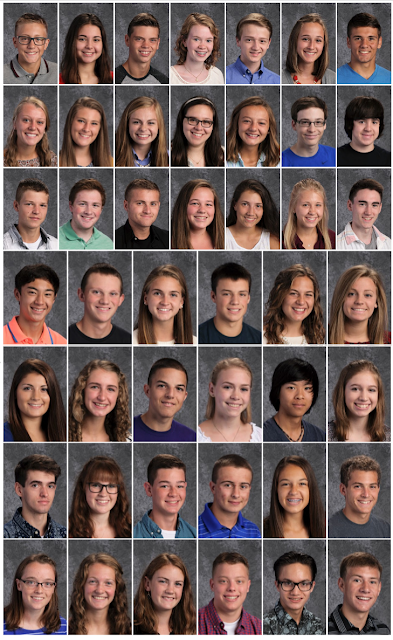 Recently, the 2016-2017 Lampeter-Strasburg Heroes were announced. 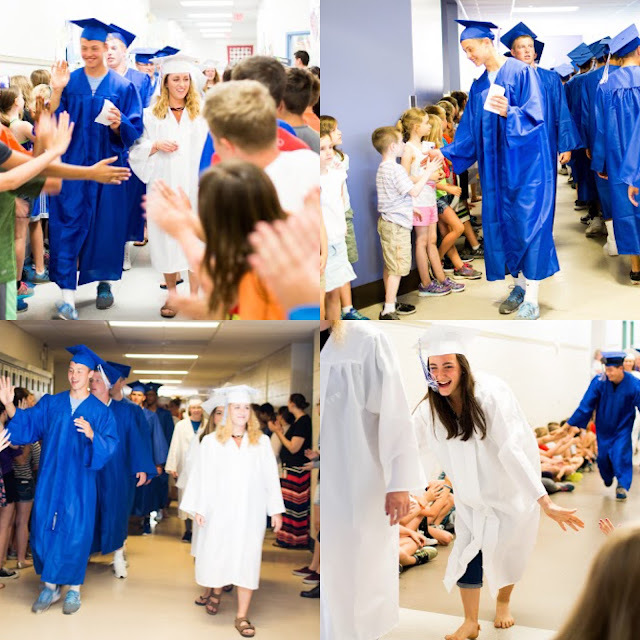 Heroes represent an elite group of seniors, nominated by faculty, that travels to third grade classrooms in the district in order to serve as mentors. They teach lessons on making positive decisions that lead to future successes in life. Students selection in the program is based leadership skills, academic success, school and/or community involvement as well as freedom from drug and alcohol use. Students were further screened for attendance and discipline. 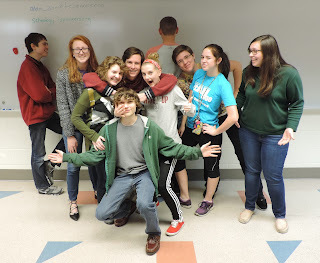 As a L-S Hero, students gain public recognition, public speaking skills, reinforcement for maintaining a drug and alcohol-free lifestyle, as well as the respect and admiration of younger students. All heroes receive printed "trading cards" picturing the student hero, along with a short biographic feature that can be distributed to elementary students as Heroes share their positive messages. Update High school physics teacher, Dr. Thomas Habowski recently announced that he had accepted a teaching position Delaware. Habowski would be starting there in the fall. Lampeter-Strasburg High School art teacher Mr. Scott Cantrell's art work will be on display starting today for the month of June at Red Raven Art Company. Cantrell had this to say about this exhibit. I am a teacher first and foremost in my life, and so this work is meant to teach the viewer. This show developed from a series I called the Visual Learner and are paintings about painting. This work is a celebration and an exploration of understanding the referential nature in the history of art. Artists like Sargent, Rembrandt and Ingres were chosen because of their ability to realize the cooperation of the paint and the subject. The studies include explorations in the application of paint, the viscosity differences in accents and passages, color isolators, magnifications of detailed areas, alla prima versus multiple sittings, and simultaneous contrast in color. Read more about Cantrell's art and process. Red Raven Art Company 138 N. Prince St. It's time for me to break off a relationship. It's one that has gone on for quite some time, one in which I have found fulfillment and joy, as well as frustration and disappointment. It is a relationship in which I have invested hundreds of hours at all hours of the day. It has caused me to lose sleep at night, to stay up way past midnight texting and emailing, and to drive all over the county and sometimes out of the county to keep it going. It's one that has led me to devise detailed, often secret strategies to protect my interests, to build other relationships to protect it, and to constantly worry that at any second it could end due to circumstances beyond my control. And it's one that must be terminated. So today, I announce to the world that I am ending my relationship with LSNews.org effective the end of my school year (yes Mom and Dad, your blood pressure can return to a normal level). 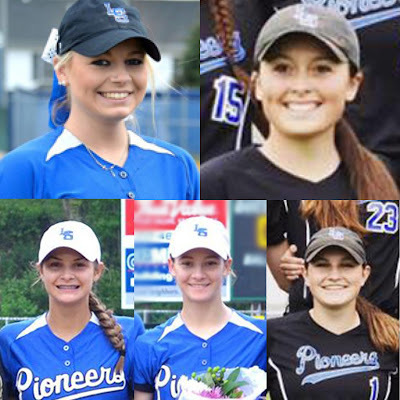 For the third time this season, the Lampeter-Strasburg Pioneers softball team took to the diamond to play Donegal, but for the first time this season, it did not emerge victorious against the rival Indians, falling 4-1 in the semifinals of the District III playoffs. Jordan Weaver struggled to command the strike zone, and walked five hitters; meanwhile, the bats mustered only four hits. Those two ingredients were not conducive to success. Weaver walked the first hitter of the game and then walked another hitter in the first inning, but solid defense helped her escape a first inning jam unscathed. In the bottom of the inning, L-S had only one baserunner, Hanna Garber, who knocked a two-out single to right field and never made it past first base.